Get away from the masses staying at hotels, in favor of an intimate and uniquest adult/couple oriented Bed & Breakfast. 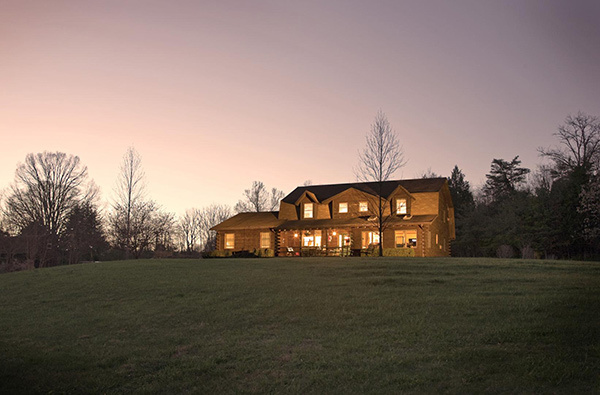 Situated in a peaceful rural area and close to restaurants, wineries, and the attractions of Charlottesville and Lynchburg. All rooms feature king pillow-top beds, soft-overstuffed pillow, and high-thread-count bedding. All rooms have private baths, free WiFi, HDTV, DVD, satellite TV, air conditioning, and access to an extensive movie library. Select rooms have fireplaces, whirlpool tubs, wide-screen TVs and BluRay players. Complimentary cold drinks, coffee, and freshly baked goodies are available 24 hours per day. A full country breakfast is served every morning and is guaranteed to be more than you can eat. Thirty minutes from Wintergreen Resort, five minutes from Oak Ridge Estate.